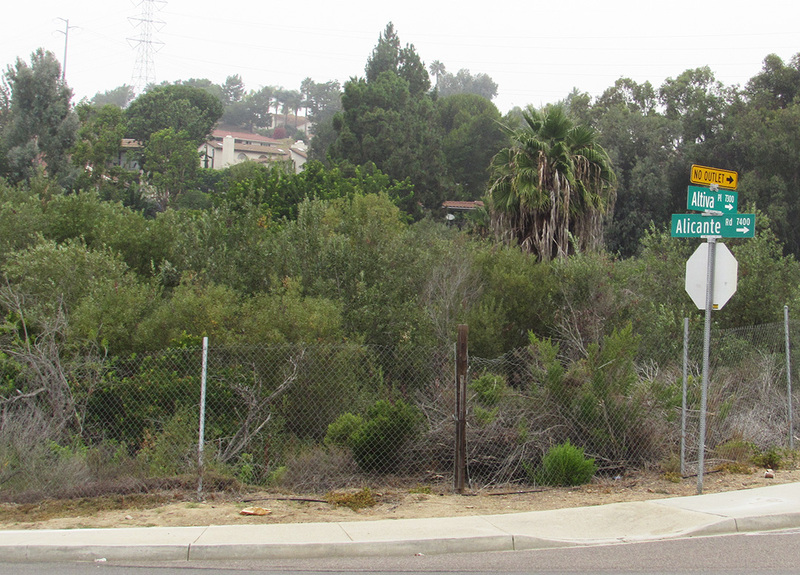 CARLSBAD — A 35-unit condominium development has a few hurdles left before breaking ground in La Costa. The Cascada Verde project, which was unanimously approved by the planning commission in April, will cover 3.67 acres on Alicante Road between Altisma Way and Altiva Place. However, San Diego-based Lanshire Housing Partners must secure permits from several state and federal agencies including the Army Corps of Engineers for an intermittent stream flowing from north to south on the property. In addition, the developer has yet to submit a building permit application, according to Carlsbad Associate Planner Austin Silva. The building permits, however, are expected to be submitted in the coming weeks, said Mike Kootchick of Lanshire. The initial plans were submitted in March 2015, Silva added. The waterway, meanwhile, flows into a 72-inch culvert under Alicante Road and releases into a concrete-lined channel running through Omni La Costa Resort into San Marcos Creek. Kootchick said the stream captures runoff from the north and east of the neighborhood. He said the stream would be realigned and new stormwater measures mandated by the state earlier this year will also be put in place so the water is cleaner before reaching the resort, creek and eventually, Batiquitos Lagoon. The project began three years ago, he added, and has gone through numerous hurdles before getting approval. Kootchick said he and his partner, Matt Nelson, received some pushback from residents, but overall struck a good balance between those concerns and the city. In fact, Kootchick said the city preferred more units, but due to the aforementioned discussions and construction and other cost challenges, building less is optimal. The condos range from 809 square-feet to 2,010, while the five smallest units, which are one bedroom, are designated affordable housing, according to Carlsbad Associate Planner Austin Silva. Fourteen one bedroom units at 1,525 square-feet are planned, along with eights units each of a 1,790 square-feet two bedrooms and 1,762 square-feet three bedrooms. Thirty units will have 20-foot-by-20-foot, two car garages, while the five smallest one bedroom homes will have a 12×20, one car garage. Cost of the units is expected to run $400 per square foot, Kootchick said. “All of our revenue projections are exceeding our expectations,” he added. The structures will be three stories, although only two stories will be visible to the surrounding development due to steep grading. The site features grade elevation greater than 15 feet and slopes greater than 15 percent. Lanshire also proposed to install a 5-foot wide sidewalk on Altisma Way to finish the walk, which stops about 50 feet from the Alicante Road intersection, and 120 Italian Cypress trees are to be planted. Assuming all permits and environmental aspects are met, construction will begin in the first quarter of 2017 with an expected completion date of spring 2018.